We sat down with Alec of Harvest Bloom to get the low-down on his medical marijuana delivery service. What follows is a one-on-one interview that offers a behind-the-scenes look at what this cannabis collective has to offer patients in California. When & Why Did You Start the Harvest Bloom Cannabis Delivery Service? 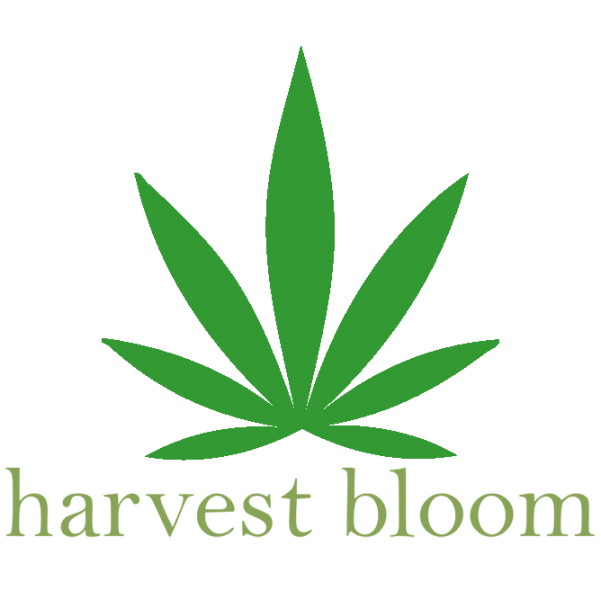 What Makes Harvest Bloom Stand Out from Other Cannabis Collectives? Where Does Harvest Bloom Deliver? Does Harvest Bloom Offer Online Ordering? Since 2012, Harvest Bloom has offered a boutique cannabis delivery service designed to help patients improve their quality of life and gain easier access to medical cannabis. Whether you lack transportation to get to a dispensary, suffer from an injury or serious medical condition, or just want first class service from the comfort of your home, we are here to assist you. Our dedicated team provides a safe, professional, and very discreet service to our members. Here at Harvest Bloom, we take your privacy and needs seriously. For the past 12 years, our team of experienced cultivators has been producing the most consistent and premium grades of organic original strains. In return to our patients, we offer superior quality medical marijuana at reasonable donations. Also, we only provide medication from the best and most reputable cultivators in the industry. We test each strain, edible, concentrate, etc. ourselves to ensure quality and to provide an honest and articulate consultation to our patient members on the effects of the medicine that we provide. It’s a potent hybrid strain that packs a punch, leaving users with dramatic feelings of relaxation and euphoria, often resulting in permanent “couch-lock.” This chunky, conic, crystal-covered strain sports pungent earthy and sour smells, inherited by its parent strains, Chem’s Sister, Sour Dubb, and Chocolate Diesel. It won 1st place in both the Los Angeles and Michigan 2014 Cannabis Cups, and has since become one of the most popular hybrid strains available. 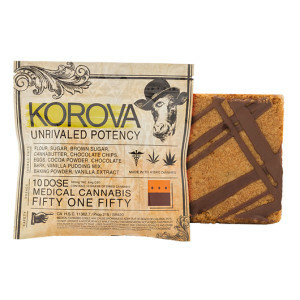 A new patient favorite, the brand touts “unrivaled potency” in all Korova edibles, and it shows with its 500mg of THC. The 5150 bar is a potent blend of Korova’s award-winning chocolate chip cookie, baked on top of their Triple Chocolate Brownie. If that doesn’t sound tantalizing I don’t know what does. Patients should be warned that each “dose” contains 50mg of THC, which is far higher than most typical edible doses around 10-15mg. The cartridges by ABX are superb, and offer our patients the highest THC-potency for a reasonable price (around 10 cents per milligram). Each cartridge contains up to 70% active THC (500mg cannabis oil), and comes in 12 different strains. These cartridges are made from local, sustainably grown cannabis that’s been cleanly extractedin a PFC-certified lab using a supercritical CO2 method. Each product is lab-tested for consistency, purity and potency, and to verify cannabinoid and terpene profiles. They also test their oil for mold, bacteria and pesticide residues, not to mention there are absolutely no additives. New Members receive a special gift on their first order. Veterans, Students and Seniors receive a 10% discount on all orders. Our Referral Program lets patients get 10% off their order when they refer someone (mention the referral in new member sign up). Finally, our Loyalty Program lets patients get a free 1/8oz on every 6th order! South Bay – Sunnyvale, Santa Clara, Cupertino, Saratoga, Campbell, Los Gatos and San Jose. Also, if you’re in an area not listed, any patients can feel free to call or email us with any special requests. We will be at the High Times Cannabis Cup in So-Cal April 15-17, and our patients can follow us on Facebook & Twitter & Instagram for future announcements! There you have it, a 1-on-1 with the Harvest Bloom Collective. Here at Nugg, it’s our mission to let California cannabis patients (more states to come) order delivery online from the largest selection of cannabis products and dispensaries in their area. Think of it like GrubHub for cannabis. It’s free to use, every order is backed by 24/7 Customer Service, and you can choose from thousands of marijuana products across hundreds of dispensary menus.